By reading this koob, you’ll learn how to use the Internet to improve your life, earn more money, and maybe even become a millionaire. - reorganize your life around what really matters to you. Do you dread Monday mornings? Are you forcing yourself to go to work? If so, there’s a problem. There are too many of us today who feel stuck in a trade or profession that doesn’t enable us to grow and that negatively impacts our daily lives. That said, nothing is forcing us to stay in such a situation. The Internet has increased our opportunities like never before, offering us all the tools we need to change our lives right now. However, you might not know how to exploit the array of possibilities available to you. 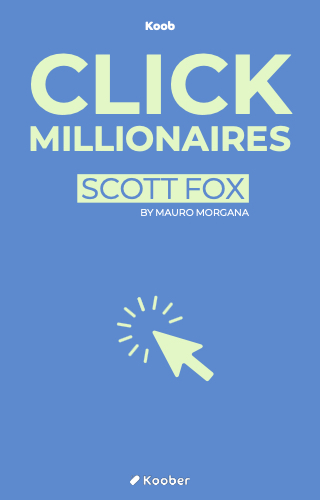 Click Millionaires will provide you with a variety of ways to take advantage of Internet resources, educate yourself about them, earn more money, have more free time, and maybe, if you’re lucky and talented, fulfill your wildest dreams.